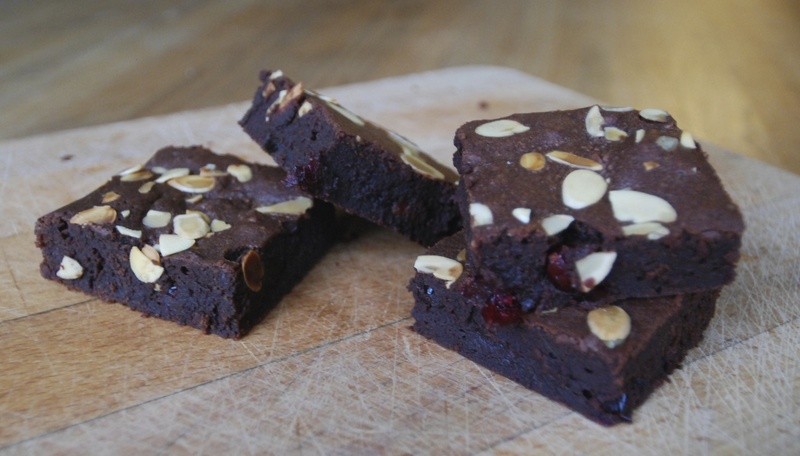 I first created these boozy brownies as a Christmas treat, perfect for a cold winter’s night. Seriously dark chocolate with a touch of christmas cranberry and almond. Bursts of tart cranberries in every bite liven up and lighten this very fudgey and rich treat. Deliciously moist, with a dense, fudge-like texture dotted with nuggets of marzipan. A great addition to any party spread, and richly chocolatey for Easter. *serving suggestion: serve warm with cream or vanilla ice cream and a shot of amaretto.